For those whose who can’t get enough of the magic of Disneyland® Paris, we have added an extra night to our 2 nights at Disneyland® Paris tour. Enjoy the extra time to visit (or re-visit) the attractions at both parks that you didn’t have time to do the day before. 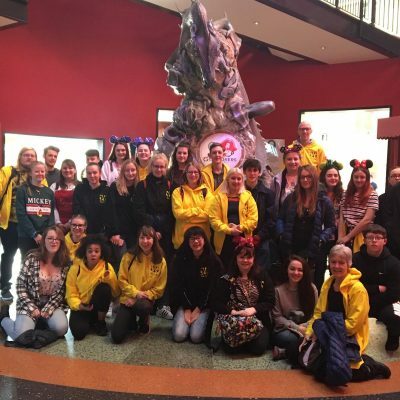 Take your students on a trip to Europe’s number one theme park for everyone to enjoy a magical journey of Disney attractions, cinema, entertainment and everybody’s favourite Disney characters for two full days. We will provide you with a 2-Day/2 Parks Disneyland® Paris pass that will give you access to both Disneyland® Park and Walt Disney Studios® Park, with the ability to hop from one Park to another. More than a theme park! Day 2 and 3: Spend two full days in Disneyland® Paris with access to Disneyland®Park & Walt Disney Studios® Park. Want a shorter Disneyland® Paris trip?